In 1938, John Ganim opened a simple fruit stand called Ganim’s Outdoor Market. The fruit stand evolved slowly as John added seasonal flowers, fall fruits and pumpkins, and then Christmas trees to his product line. For thirty years at his North Avenue location, John Ganim supplied quality fruit and seasonal items to his customers. The steady growth and increased transportation demands of the greater Bridgeport area led to the eventual construction of the Route 8/25 highway connector system. This highway project forced John to leave his North Avenue location and seek a new home for his growing business. In 1969, the business moved to its present site at 320 Kings Highway Cut-Off in Fairfield. John Ganim and his son, Lee, by then working side by side, knew that relocation meant expansion, and Ganim’s Garden Center was on its way to becoming the premier garden center in the area. Father and son continued working together with the common goal of business expansion. After graduating from the University of Connecticut in 1974 with a Bachelor of Science degree in horticulture, Lee Ganim further broadened the scope of the family business. With his clear-cut lawn program and increased product offerings, Ganim’s Garden Center expanded quickly, reflecting the growth of the green industry nationwide. A quality product line combined with a knowledgeable staff ensured a loyal customer base, guaranteeing repeat visits by satisfied customers with many new customers as well. By 1986, following numerous renovations, additions and upgrades, Ganim’s Garden Center emerged as the area’s leading garden center. Since that time, we have continued to serve the area with the finest quality plant material and landscaping products. Lee Ganim is proud to continue the family tradition and have both of his children working side by side with him. His son Austin, who graduated from UCONN in May of 2000 with a degree in Ornamental Horticulture, is the owner of Austin Ganim Landscape Design, LLC and Lawn Care of Fairfield, LLC. He can also be found at Ganim’s Garden Center and Florist on the weekends and weeknights, helping his family. Lee’s daughter Merrilee graduated from CCSU in May of 2003 with a degree in Business. She can be seen at the store daily as the Floral Department manager and designer. She also helps run the Garden Center. Merrilee is a graduate from the CFA Floral school and currently serves on the board of directors there. You can view Merrilee’s floral arrangements through the Ganim’s Florist Website. For more than seventy years, Ganim’s Garden Center has been serving the needs of the greater Bridgeport area. 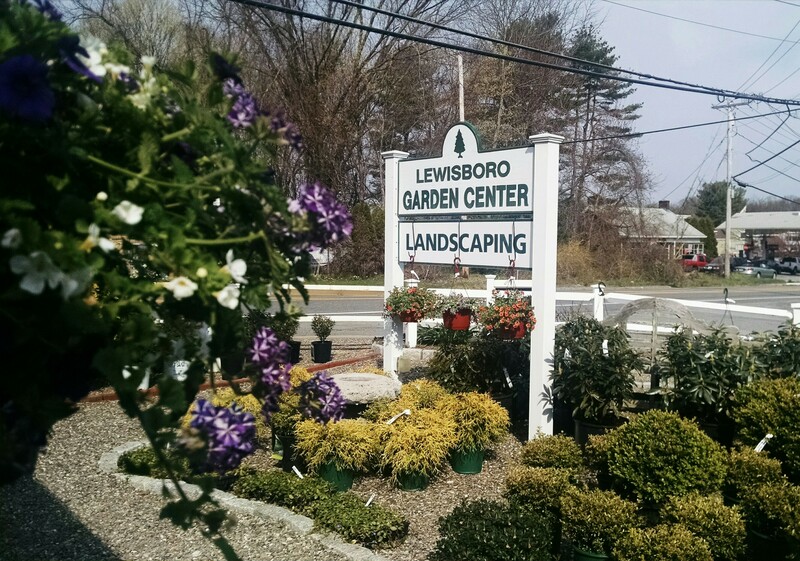 With the knowledge, staff and products to satisfy all your landscape and garden needs, Ganim’s truly is the area’s original friendly local garden center.